the pain we feel when we lose someone we love. a normal response to loss. a natural part of the life cycle. very individual. Everyone grieves differently. There is no right or wrong way to grieve. an emotional roller coaster of highs and lows. Where Can You Find Grief? Grief is everywhere. It is all around us because it is a normal and natural part of life. The two most common experiences we share as human beings are birth and death. Grief takes on different shapes, attitudes and behaviors. Teens experience grief in many different ways and not necessarily in the same order or at the same time. Your relationship with the person who died. How the person died—sudden or expected death. The age of the person who died. If you witnessed the death. How you were told about the death. Your past experience with loss and death. What support is available to you. Withdrawal: You may pull away from friends, drop out of clubs and sports, or cancel plans. Sometimes it’s just easier to be alone. Inability to relate with peers: Relating to friends can become difficult because their problems may seem very small and fixable compared to your loss. Impatience: You may become impatient or irritated with others—especially if someone complains about something trivial and fixable. Overachievement: You may try to be your very best to make it easier for other family members to cope. This can put even more pressure on you. Lack of focus: You may find it difficult to pay attention because your mind can’t shut off what has happened, so you become unfocused and unorganized. Drop in school grades: Because you are having a hard time focusing, your grades may drop. If they don’t go back up within a reasonable amount of time, ask a teacher or friend for help. Lack of interest or motivation: You may adopt a “why bother” attitude. 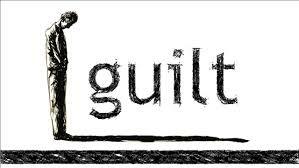 Guilt: You may feel guilt because of something you have said/not said, thought, felt, or wished about the person who died. You may even think that you could have prevented the death. You may also feel guilty for wanting to feel normal again. Overwhelming sadness: This can feel like an incredible weight that prevents you from wanting to do anything. Loneliness: You can feel very isolated and different from your peers. No outward response: At school, you may act like nothing has happened so you won’t call attention to yourself. At home, you may try to act like nothing is bothering you so your family won’t be sad or worry about you. Drug or alcohol use: You may experiment with either or both as part of that “why bother” attitude or to mask or stop the pain you feel. Use of drugs or alcohol makes grief more difficult. Unusual happenings: You may experience seeing or hearing the loved one that has died or have vivid dreams about them. Some teens find this comforting since it feels like a connection with their loved one. Others may find it uncomfortable. It can help to talk or write about it. Grief is difficult enough in and of itself. But sometimes it can become even more complicated by factors that can prolong the process and increase the pain and difficulty. The surviving parent/teacher’s expression of grief. We all look to the adults in our lives for cues on how to act, how to grieve. If you have no healthy role models for this, then you may have difficulty finding healthy and appropriate ways to express your feelings. Denying your feelings and expressions. Sometimes your feelings and expressions of grief can be ignored by others because people are so uncomfortable with this topic and don’t know how to deal with you and your grief. Thinking that nobody cares. You may think that nobody cares, but many people just don’t know how to act or what to say, and so they choose to do or say nothing. Feelings of confusion or guilt about the person who died and the way he/she died. Acting younger than you are for an extended period. Indifference toward the death. It may be easier to act indifferent, but at some point, you will need to deal with your loss. The sooner you deal with it, the sooner you will be able to get back to your life. Unable to put thoughts and feelings into words. This is a common problem for all of us. The pain is just too big and too deep to put into words. A song, a poem or a saying can sometimes help others know what you are feeling and thinking. Lack of opportunity to share feelings and emotions at home, at school and with friends. Change in family role and responsibilities. You may have to take on more responsibilities and help out more at home. This can add stress and take time away from school work, friends and working through your grief. Unstable family life after the loss. Difficulty believing that the death is real. Unresolved grief from an earlier loss. If you have already experienced a significant loss and have not worked through that experience yet, you may need time and help to deal with it before the present loss can be fully addressed. • Try to understand the grief process rather than be annoyed by it. • "I'm sorry" or "I care" is all that is necessary to say; a squeeze of the hand, a hug, a kiss can say the words. • Don't say: "You will get over it in time." They will never stop missing the person who died. Time may soften the hurt, but it will not just go away. There will always be a scar. • Listen, listen, listen. Talking about the pain slowly lessens its sting. Most bereaved persons need to talk. It is helpful for someone to listen. Try to become an effective listener. • Don't tell people: "It's God's will." Explanations do not console. • Encourage expressions of specific feelings: anger, guilt, frustration, confusion, depression, hate. • Be patient. Mourning takes time. People need you. Stand by them for as long as possible. There is no timetable for grief. Do not give a pep talk or suggest a timetable. • Talk about the good memories. They help the healing process. • Suggest that grieving people take part in support groups. Sharing similar experiences helps healing. • Be there caring, saying "I'm sorry" and helping in practical ways. • Sincerely ask, "How are you doing?" Bereaved persons can tell if you want to hear "fine" or if you really want to know. • Help bereaved to eliminate expectations as to how they should feel and when they will be healed. • Be approachable, aware, and interested. • Be accepting of the person, of his/her feelings, his/her confusion. • Acts of thoughtfulness-a note, visit, plant, helpful book, plate of cookies, phone call, invitation to lunch or to go shopping, coffee. • Be confidential with what is shared with you. 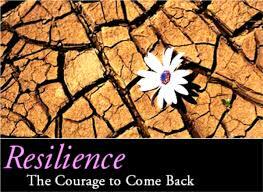 Resilience is the process of adapting well in the face of adversity, trauma, tragedy, threats or significant sources of stress – such as family and relationship problems, serious health problems, or workplace and financial stressors. Resilience is not a trait that people either have or do not have. It involves behaviors, thoughts and actions that anyone can learn and develop. Developing your resilience is a personal journey. An approach to building resilience that works well for one person might not work for another. People use varying strategies. Some variation may reflect cultural differences. For example, an individual’s culture might have an impact on whether and how he or she connects with others and communicates feelings. The following pointers may be helpful to consider in developing your own strategy for building resilience. Make connections Good relationships with close family members, friends, or others are important. Accepting help and support from those who care about you and will listen to you strengthens resilience. Some people find that being active in civic groups, faith-based organizations or other local groups provides social support and can help with reclaiming hope. Assisting others in their time of need can also benefit the helper. Avoid seeing crises as insurmountable problemsYou can't change the fact that highly stressful events happen, but you can change how you interpret and respond to these events. Try looking beyond the present to how future circumstances may be a little better. Note any subtle ways in which you might already feel somewhat better as you deal with difficult situations. Accept that change is a part of living Certain goals may no longer be attainable as a result of adverse situations. Accepting circumstances that cannot be changed can help you focus on circumstances that you can alter. Move toward your goals Think about possible solutions to the problems you are facing and decide what realistic goals you want to achieve. Do something regularly – even if it seems like a small accomplishment – that enables you to move forward. Focus away from tasks that seem unachievable. Instead, ask yourself, "What's one thing I know I can accomplish today that helps me move in the direction I want to go?" Many people find it helpful to track their progress by making a record of any accomplishment that moves them toward their goals. It is important to spend a moment reflecting on the fact that you are taking action and achieving what you believe you need to do. Take decisive actions Act on adverse situations as much as you can. Take decisive actions, rather than detaching from problems and stresses and wishing they would just go away. Being active instead of passive helps people more effectively manage adversity. Find positive ways to reduce stress and negative feelings Following a stressful event, many people feel they need to turn away from the negative thoughts and feelings they are experiencing. Positive distractions such as exercising, going to a movie or reading a book can help renew you so you can re-focus on meeting challenges in your life. Avoid numbing your unpleasant feelings with alcohol or drugs. Look for opportunities for self-discovery People often learn something about themselves and may find that they have grown in some respect as a result of their struggle with loss. Many people who have experienced tragedies and hardship have reported better relationships, greater sense of strength even while feeling vulnerable, increased sense of self-worth, a more developed spirituality and heightened appreciation for life. Nurture a positive view of yourself Developing confidence in your ability to solve problems and trusting your instincts helps build resilience. Keep things in perspective Even when facing very painful events, try to consider the stressful situation in a broader context and keep a long-term perspective. Avoid blowing the event out of proportion. Strong emotional reactions to adversity are normal and typically lessen over time. Maintain a hopeful outlook An optimistic outlook enables you to expect that good things will happen in your life. Try visualizing what you want, rather than worrying about what you fear. Take care of yourself. Pay attention to your own needs and feelings. Engage in activities that you enjoy and find relaxing and that contribute to good health, including regular exercise and healthy eating. Taking care of yourself helps keep your mind and body primed to deal with situations that require resilience. Additional ways of strengthening resilience may be helpful For example, some people write about their deepest thoughts and feelings related to trauma or other stressful events in their life. Meditation and spiritual practices help some people build connections and restore hope. The key to developing an effective personal strategy is to identify ways of building your resilience that are likely to work well for you.